Mangaluru, Apr 22, 2017: As per a media release from Yenepoya University, highlight of April 2017, is a one day seminar on Medical Marijuana, slated to be held on April 26th at Yenepoya University. Global market for Medical Marijuana is expected to touch $50 billion by 2025. Israeli Marijuana patents, agro-tech start-ups and firms. Canada exports Medical Marijuana to Australia, Croatia, and Chile. China is pushing Marijuana oil for cancer treatment. 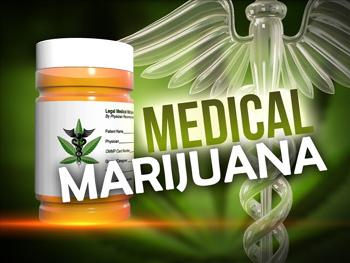 In India, All India Institute of Medical Science, New Delhi and TATA Memorial Hospital and Research Center have sought Central Government permission to test Marijuana oil for use in therapeutic situations and palliative chemotherapy. Seminar Program Schedule : Date: 26 April 2017 : Venue: Auditorium, 5th Floor, Yenepoya Dental College. Time 9.15 am to 4 pm. **Use of cannabis through the ages. Dr. G Shreekumar Menon, Registrar, Yenepoya Uni. **Pharmacological aspects of Medical Marijuana Dr. Preethi G. Pai, Associate Professor, Dept. of Pharmacology, KMC, Mangalore. **Medical Marijuana: Standardization & Product development, Prof. Gowtham M, Associate Professor, Dept. of Pharmaceutics, Rajiv Gandhi Institute ofPharmacy, Kasragod. **Marijuana & Cannabinoids - A Neuroscience Perspective, Dr. Raghavendra B.S, First Neuro Brain & Spine Super Speciality Hospital, Mangalore. **Marijuana in Ayurvedic Medicine Dr. Krishnamurthy, Alvas Ayurveda Medical College, Mangalore.